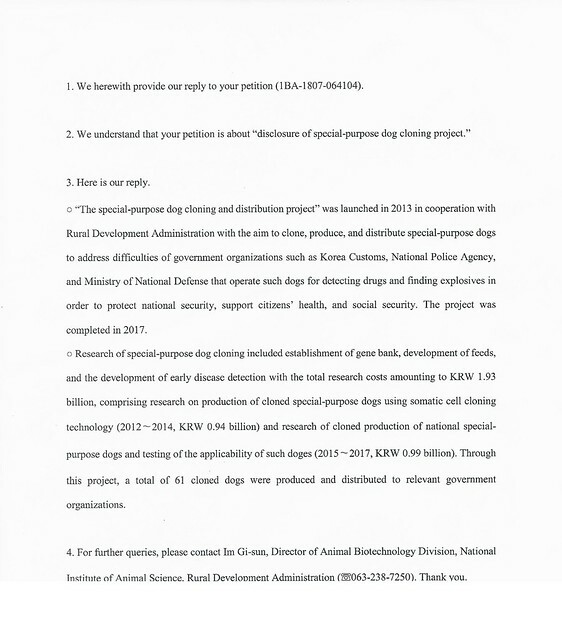 [Campaign Update] Korean National Institute of Animal Science responds -Dog cloning ended in 2017. Home / Blog / [Campaign Update] Korean National Institute of Animal Science responds -Dog cloning ended in 2017. 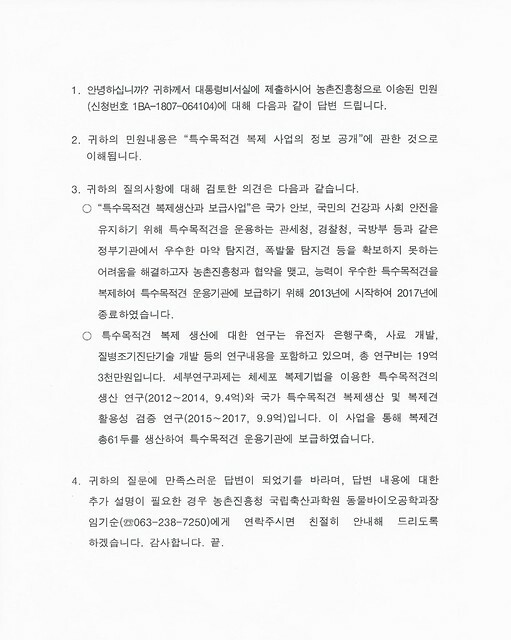 The signed petition for: “Seoul National University, stop it! 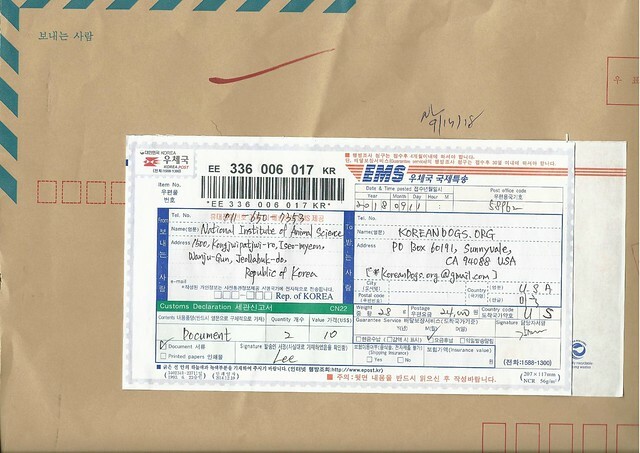 We demand the truth about your using “meat dogs” for cloning experimentation.” were sent to the petition targets on June 18, 2018 and we had received a response from the Korean National Institute of Animal Science mailed on September 11, 2018 as below. Click HERE to learn more about this campaign. This is positive news that the Korean National Institute of Animal Science had ended their dog cloning project in 2017. They are on notice that the world is watching them and hopefully, this will prevent them from taking on unethical and cruel projects in the future. We will continue to collect signatures to our petition until Seoul National University agree to our demand so please keep signing and sharing. Thank you! Why don’t they clone themselves and distribute to the Government facilities? If they believe they are so smart and useful to the nation. Indeed, the baffling cruelty with which men’s best friends are treated in Korea is a great shame to this country and their citizens. Please learn to respect those that depend on you and treat them with kindness. Just another commodity in there eyes to be used,abused and eaten utterly disgusting! !